Recently the rapper Fifty Cent infuriated the autism community (and frankly, anyone with a shred of humanity) when he tweeted, “…saw your picture fool you look autistic." Followed by: "I don't want no special ed kids on my time line follow some body else." I really wasn’t all that bothered by this stunning lack of compassion when I considered the source, who has written such lyrics as, “Yeah, b*$%#, I got my Now and Later Gators on, I’m ‘bout to show you my pimp hand is way strong”. Let’s face it—“Fitty” isn’t someone you would discuss economic policy or world history with. I suppose I expect more from someone whose tweets reach such a large audience, but celebrity autism mom Holly Robinson Peete responded with a beatdown that Fitty won’t soon forget. You go, girl! 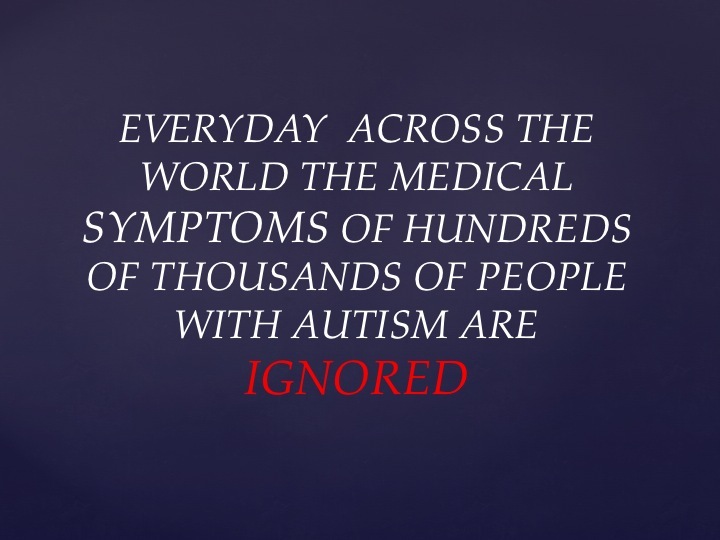 Where my outrage lies is in the shocking dearth of knowledge our medical community has about the medical condition called “Autism”. 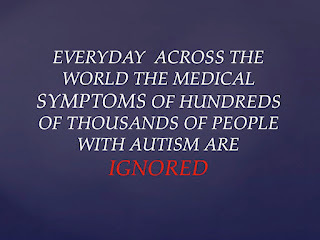 Should you doubt autism is a medical condition, please watch the video at the above link. It shows a boy with autism who was literally starving to death from severe autistic enterocolitis. He was in agonizing pain and experienced constant diarrhea. How could anyone expect a child to behave normally, much less learn, in the condition this young man was in? His parents had to travel from England to New York to visit a gastroenterologist who specializes in treating the autistic gut. The results were astounding; their son has made an incredible turn-around. This video was produced by Polly Tommey, an autism advocate from across the pond—or in my case here in Hawaii, two ponds. Polly is a British journalist who has an autistic son and laments the lack of autism specialists in the UK. I find we have the same issue here in Hawaii—we simply don’t have access to those few-and-far-between doctors who specialize in treating autism. That said, my experience when we lived in Maryland wasn’t much better. There are simply too few physicians who know anything about autism, and those who do are expensive. I am honored to work with a non-profit that brings autism specialists here to Hawaii, but even without the cost of airfare, hotel and rental car, it is still very costly. Autism is a complex, systemic illness and is not suited to being treated in those 10-minute appointments the insurance companies will cover. We typically spend at least an hour with the doctor, followed by extensive blood work his staff does—much of which is not covered or minimally covered by insurance. We then have a follow-up phone call of about an hour (which I also pay for as if it was an in-person appointment) to discuss Ryan’s blood work. Each time Ryan sees his autism doctor it costs well over a thousand dollars, and he sees him several times a year—whenever we can get him here on-island. I’m not complaining. I feel lucky to have access to a highly capable physician who has made treating autism his life’s work. Where my beef lies is with a system that is still in its infancy in recognizing the complex medical condition that is autism—a system that for years has dispassionately allowed autistic people to suffer while saying their self-injurious behaviors and odd postures were just what “they” do, without looking for an underlying cause…and further with a health insurance system that will not recognize the array of medical issues associated with autism (allergy, autoimmune disorders, epilepsy, colitis, etc…) cannot be treated with an in-and-out appointment with an untrained pediatrician. I’ve grown tired of having to educate medical school graduates about autism. Think of that British boy in the video link, and then of thousands of others like him whose conditions go untreated. Forget Fifty Cent—I save my ire for the indifference to autism by much of the medical establishment and the refusal of the health insurance industry to fairly compensate doctors who specialize in treating autistic kids and the specific tests required…don’t even get me started on their stubbornness regarding therapeutic behavioral therapy coverage, falsely calling it “experimental”. I realize we are fortunate to be able to afford treatment for Ryan, but I can’t help but think of those who aren’t able find a doctor who knows how to treat their child, or those who can’t pay for it. We know there are therapeutic methods that work, but most doctors are blissfully ignorant. I am just as sure there are effective treatments as of yet undiscovered, if only the medical community had the interest in finding them. To add insult to injury, getting access to and affording the few autism specialists out there is a huge issue. So what did this blog entry have to do with Fifty Cent, other than a catchy title? I guess very little, except for my hope that Fitty, in his colossal ignorance will shine a spotlight on autism such that people—particularly those with M.D. behind their names--will want to learn more about the condition…and will come to understand the frustration of much of the autism community in trying to get someone to listen.